During the FCC's auction of low-frequency 600MHz spectrum to be held this year, don't be surprised to find that cable giant Comcast has bid on some of the airwaves. 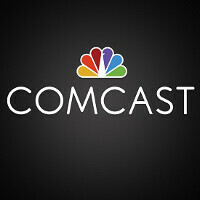 Even though Comcast's NBC Universal unit is turning over to the FCC some of the spectrum that is being auctioned off, Comcast CEO Brian Roberts said during today's Q4 earnings conference call, that the cable giant will be grabbing a paddle and bidding on some of the spectrum. What makes this 600MHz spectrum so valuable is the fact that it is low-frequency. Such spectrum can travel farther and penetrate buildings better than higher frequency airwaves. Comcast Cable president Neil Smit added that the company will be purchasing spectrum that will work in conjunction with Comcast's 13.3 million Wi-Fi Hotspots. Comcast also is expected to test out a wireless service following the activation last year of an MVNO agreement it had with Verizon. As we told you last month, Wells Fargo expects $33 billion to be bid for the airwaves, which were turned over to the FCC from television broadcasters no longer using them. AT&T and T-Mobile are each expected to spend up to $10 billion bidding for the spectrum.